2011-12 Panini Limited Zydrunas Ilgauskas Patch Auto 01 25 NM-MT!!! 1 1!!!!! The Limited brand has a nearly 20-year history in the hobby. 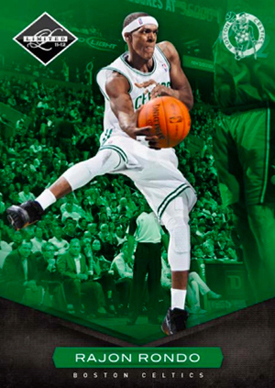 2011-12 Panini Limited Basketball aims to live up to that name by offering a slew of new hit-based inserts. The high-end product comes in single-pack boxes of seven cards. Collectors will find two hits inserted directly in boxes: one autograph and one memorabilia card. Boxes also have one numbered parallel. 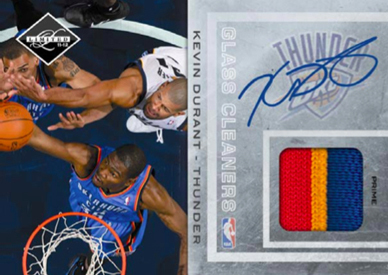 2011-12 Panini Limited continues with the company's direction of offering redemptions for the 2011-12 and 2012-13 NBA rookie crops. Falling one per box, each Draft Class Redemption guarantees an autographed rookie card. The 2011-12 Panini Limited base set pops. An action shot of the featured player is in the foreground. They stand out against single-color backgrounds. 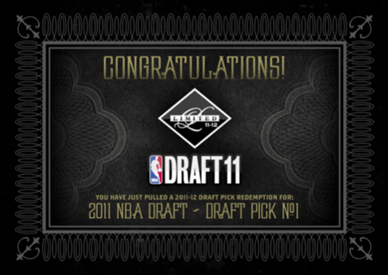 While the base cards are strong, the big draw for 2011-12 Panini Limited Basketball is the hits. With low-numbered print runs and new designs, they have a fresh feel to them. 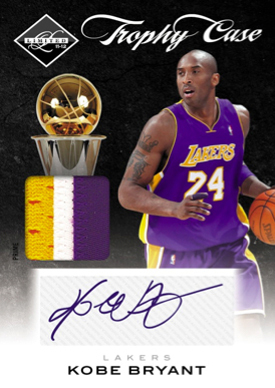 Trophy Case Prime Material Signatures celebrate NBA champions. Each card is numbered to 10 or less. Don't worry, Glass Cleaners isn't a tribute to the men who take care of the windows outside David Stern's office at NBA headquarters. It's all about the league's best players inside the paint. Each patch autograph is numbered to 5 or less. Legendary players of the past are the focus of Retired Numbers, which have prime memorabilia versions limited to 5 or less. Similarly numbered are the autographed patch sets Jumbo Jersey Numbers and Decade Dominance. Signature seekers have a couple of autograph sets to go after. Numbered to 49 or less, Limited Trio Signatures have three autographs. Youngsters are the focus of Brand-New Potential Signatures. I’m kinda new to collecting, so what exactly is a parallel card? Mike (ID 41932) � A parallel is a different version of the same card – usually they’re done with a different colored border or different colored text or autograph. For example, the regular card might have a black border. A Blue Parallel would have a blue border. Parallels are usually more limited than the regular versions. Did the release date change? Kyle (ID 42588) � Dave and Adam’s has a release date of June 13. Now Dave and Adam’s has a release date of July 6th.